In Torah portion, Vayetzei, Jacob weds two wives. The Arizal explains that while Jacob coupled with Rachel, it was Israel (Jacob’s second appellation) who coupled with Leah, with important consequences for us today. Every story in the Bible has a key hidden purpose, an energy to reveal and a pathway to follow beyond cloaked gateways that need opening. 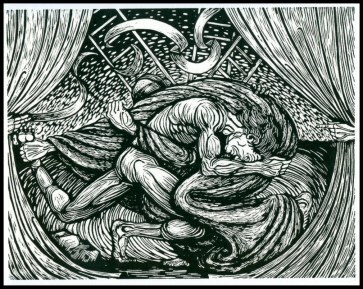 In one such story, Jacob received his new name (Israel) when he defeated the angel of darkness at the Jabbok River, and it was this defeated demon who then gave Jacob a new name, which slyly insinuated his own name into Jacob’s. 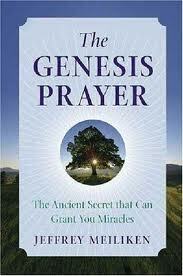 You see, the Biblical Names are really sources and gateways to specific available cosmic energy. And like all energy, they are codified by values or numbers. Jacob has a numerical value of (182), which means little to us on its own, but when his name was changed to Israel, of numerical value (541), the value and thus the name Satan (359) was inserted: 182 + 359 = 541. This inclusion became part of the rectification process, whereby the Israelites were charged with overcoming their own satan, their selfish desire for the self alone. It’s only through selfless thoughts and actions, a selfless love of others, that we can rectify our world in order to bring Moshiach. This is why the place in the Jabbok River (MABR YBK) where the dark angel was defeated and Jacob given his new name has the numerical value 424, which is the same as Moshiach Ben David. Israel took on a great responsibility; Moshiach Ben David will be our reward for waging this war and for overcoming our selfless desires. Sometimes the gates and paths are hidden within the stories; sometimes they are hidden within a single verse. Either way, if we look beyond the narrative and even beyond the words, to the letters and their energies, as Abraham instructed us 3700 years ago, we find those paths illuminated for us. The portion, VaYetze starts off with the verse Genesis 28:10 “Jacob left Beer-sheba and headed toward Charan” “VYZE YAKB MBER ShBA VYLC ChRNH.” The first and last letters in the verse are VH, representing the last two letters of the Tetragrammaton (YHVH), kabbalistically symbolizing the union of the 7 sefirot (dimensions) of Zeir Anpin and Malchut, as in the words “Heaven and Earth” within the 7 words (28 Letters) of the Torah’s very first verse. As we’ll discuss shortly, it also represents Be’er Sheva, the well of seven (7). Zeir Anpin is the bundle of the 6 dimensions, or sefirot, which process the inaccessible light of the 3 upper dimensions and channel it on down to us, so it’s no coincidence that this verse begins with the letter Vav(V) of numerical value 6 and that there are 6 words in the verse. Interestingly enough, within the 6-word verse we can spell out the names of all the Patriarchs and Matriarchs: Abraham (EBRHM), Isaac (YZChK), Jacob (YAKB) and Israel (YShREL) and also Rachel (RChL), Leah(LEH), Sarah(ShRH) and Rivka(RBKH). Toward the end of the verse, we find the name Rachel (RChL) spelled out backwards. meaning “everything,” and which the Kabbalists tell us stands for the sefira of Yesod, the dimension personified by Joseph the righteous, which is the level just above ours, Malchut, personified by Rachel. This would metaphorically place Joseph (Yesod) within the verse at the place of Rachel’s womb, which appropriately enough is the level of the feminine Yesod. Also within the verse is the the name Shiloh (ShYLH), spelled out over the last 3 words: “VYZE YAKB MBER ShBA VYLC ChRNH,“ which we know from the Arizal, represents the Moshiach and has the numerical value of Moses, because Moshiach is an incarnation of Moses. He further states that Moses/Moshiach will be in every generation, but will only be fully manifest as the redeemer when the appointed time is reached. From Rav Ashlag and others we know that the appointed time is the Hebrew year 5778, thus it’s very apropos that Joseph was born in the year 2198 HC, exactly 3580 years prior to 5778. Numbers just represent the energy values of the gateways they’re attached to and the numerical value of Moshiach is 358, so as per prophecy Moshiach was preordained to come 10 x 358 years after Joseph was born. In Kabbalah, 10 always represents the compete 10 sefirot (dimensions) of the Tree-of-life, which is also why this special verse we’re discussing is Genesis 28:10, the 10th verse of chapter 28. There are two Moshiachs (Messiahs) according to the sages, two extremely high levels of consciousness: Moshiach Ben Joseph and and Moshiach Ben David, derived from Joseph and King David respectively. While the midpoint of King David’s life (2889 HC) is exactly halfway (5778/2=2889) from Adam to the year 5778, Joseph was born precisely 3580 years before 5778. The 3580 year period can be seen as the fuller gestation period for Moshiach consciousness to permeate all 10 sefirot. Furthermore, just as Kind David marked the halfway point to Moshiach, Joseph’s birth, marked the halfway point to the Exodus from Egypt and the Revelation of the Torah at Sinai in 2448 HC, that is, halfway from the birth of Abraham in 1948: 2448 -2198 = 250 years and 2198 – 1948 = 250 years yet again. And just so we’re clear, the energy that brought about Abraham’s birth in 1948 HC, also brought about the birth of the state of Israel in 1948 CE, to begin the final 70 year process and fulfill in 2018 CE, the Covenant of Halves that G-d made with Abraham in 2018 HC. Please note that the Torah made sure we’d understand that the Covenant was also about Halves (halfway points). 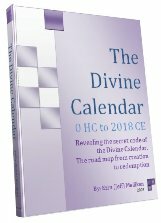 2018 CE = 5778; Covenant gets fulfilled, 3760 years later. Leah coupled with Israel. Leah (LEH) has the numerical value or energy equivalent of 36, as in 36 tzaddikim necessary to sustain the world. Israel (YShREL), as we’ve shown, has the numerical value 541. When joined together, 36 + 541 = 577, as in 5778. Or even 577 plus the 8 sons Leah gave to Israel: 5778 . We should note that 2 of those son’s were born to Leah’s handmaiden, which means that when Leah coupled with Jacob, 6 boys and, then parallel to Zeir Anpin and Malchut, 1 girl (Dinah) was born–once again the Torah showing us order and illustrating the energy systems for us, rather then just a delineation of names as some might interpret it. Jacob’s two wives had very different roles to play in establishing our world. Leah was married to Israel first and gave backbone to the 7 sefirot and the unification of the upper and lower worlds, while Rachel’s gave rise to Joseph and the sefirot of Yesod, finishing the process Leah began. Rachel’s role as the ultimate malchut will be fulfilled in these final days, those leading to 5778. Rachel coupled with Jacob. Rachel (RChL) and Jacob’s (YAKB) numerical values respectively are 238 + 182, which add up to 420, which is 10 x 42. With the kolel it could also represent 422, the numerical value of seventy (70), as in the 70 years from the birth of the nation of Israel until the promised date of Moshiach (the messiah) in 5778. It is, though, certainly the 42-Letter Name of G-d times the 10 sefirot of the Tree-of-life. The 42-Letter Name is derived from the Torah’s first verse and is not only G-d’s first gift to us, but is also the most powerful. The Arizal tells us that all our prayers elevate through it, and Rav Brandwein of blessed memory further states that it is through the understanding of the 42-letter Name that the geulah (final redemption) will come about. While the names Leah and Jacob add up to 420, it is by a similar energy source that Moses was born 420 after Abraham. And it’s no coincidence that Jacob was born 260, or 10 times the value of the Tetragrammaton (26) years after Abraham too, or that Moses was the 26th forefather in the lineage of Adam. On another note, Abraham, who was born in 1948HC and thus aligned with the birth of the State of Israel in 1948 CE, was thus born 3830 years before the Moshiach event in 5778, and this is aligned with the destruction of the Second Holy Temple in 3830 HC. Between them, Leah (LEH) and Rachel (RChL) are the mothers of the 12 tribes so it’s most fitting that the sum of the spelling out of their two names equals 1200, or 12 x 100 (keter), the highest dimension. 100 also represents the filling in of the complete 10 sefirot by 10 subsefirot each. All that said, how fitting is it that when we spell out and sum up the gematria values in the name Jacob (YVD AYN KVP BYT) we get 2018, the Western calendar equivalent of 5778! Israel, on the other hand, when spelled out has a numerical value of 2445 plus 5 for the kolel equals 2450, which equals 49 jubilee years from the birth of Adam. This date 2450 coincides with the time the Israelites received the Torah and did their 42 journeys through the wilderness. The precise date was 2448, but the Torah details 2 more years of travails through the desert. As for the missing 38 years of the well known sentence of 40 years in the wilderness, we’ll soon deal with the commutation of that sentence in a separate article. Both the Arizal and the Zohar in their discussions of this Torah portion emphasize the 50-year period called the jubilee year, which incorporates 7 x 7 sabbatical years, thus the name Israel equaling 49 x 50 or 2450 is quite significant. Now, they both further make the point that the Torah explicitly states that Jacob hated Leah and loved Rachel. Their point was more about the juxtaposition of Leah above Rachel, 2/3 (.666) of the way up the back of Jacob, representing Zeir Anpin, and drawing her light from Da’at, but that’s more advanced, complicated, and a whole other chapter. Nevertheless. it’s important to note that from 2448 (the 49th jubilee year) to 5778, there are exactly 66.6 jubilee years: 2448 + 3330 (or 66.6 x 50) = 5778. 2448 + 66.6 jubilee years = 5778. Jacob hating Leah was reversed when the Torah tells us that Leah’s sons hated Joseph, but this wasn’t the end of that tikkun, not by a long shot. It takes many reincarnations to work hatred out from a soul. Imagine what it is going to take to wipe it out of our collective soul! This hatred, unfortunately, helped thwart the first opportunity to achieve the tree-of-life consciousness in 2448; the final one in 5778 must be guided by love. The verse begins with the letter vav (V) of numerical value 6, as do 60% of the verses in the Torah and is followed by the letter Yud(Y), as do many verses in the Torah. Since VY spelled out (VYV-YVD) has the numerical value of 42, all those (VY) Torah verses are imbibed with the extraordinary power to elevate, a primary attribute of the 42-Letter Name. Again, it’s gateways and energetic connections; like the circuits in your cell phone, they work whether you see or understand them, or not. This hidden (VY) circuitry imparts an underlying technology to the verses, making them relevant to us today beyond their narrative content. But this verse in particular begins with Vayetze (VYZE), which has the numerical value 107, as in the integers from 1 – 107 that sum to 5778. It’s the same connection that we find at the beginning of the 10 Commandments. Then the very next word is Jacob (YAKB), which when spelled out, Jacob has the numerical value of 2018, which is 5778 in the Hebrew calendar. And then Jacob is immediate followed by MB, as in the Shem MB, the 42-letter Name, the understanding of which, is supposed to bring about the final redemption at the appointed time. While the 6 initials of the verse”VYZE YAKB MBER ShBA VYLC” add up to 363 (with the kolel of 1), which significantly is the numerical value of H’Moshiach (the messiah), Rav Brandwein of blessed memory explained that it’s the final letters of a Torah phrase that point to the future, and the sum of the 6 final letters (VYZE YAKB MBER ShBA VYLC ChRNH) in this verse, representing the 6 millennium, add up to 778, as in the year 5778 (2018 CE). Of those six final letters, the first three (“VYZE YAKB MBER“) are EBR, as in EBRHM (Abraham), and as in the Torah’s first 3 letters (BRE). They also spell Ber, well, as in the well at Be’er Sheba. Be’er Sheva is mentioned 10 times in the Torah, indicating its connection to the tree-of-life through the 10 sefirot (dimensions). 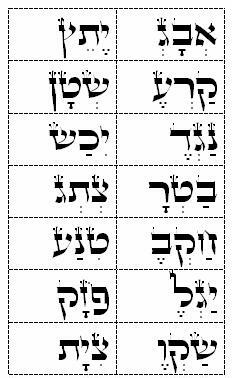 Note too that the Hebrew letters (Bet-Resh-Alef) BRE are also contained within the first two right hand triplets of the 42- Letter Name matrix. The other 3 Hebrew letters Koof-Ayin and Gimmel (KAG) of those two triplets add up to 173, the small gematria value of the full 42-Letter Name. The Torah’s first word is Bereshit (BREShYT), or BRE – ShYT. And utilizing the first 4 triplets of the 42-Letter Name matrix we can symmetrically spell out both EBR and ShYT, sitting like angle irons or bookends facing one another. They easily permute to BRE – ShYT, and wedged right between them is Ayin-Gimmel (AG) one on top of the other. Ayin-Gimmel (AG) has the energy and numerical value 73, which is that of the sefira of Chochma (Wisdom). It too represents the Torah’s first verse, as the total gematria value of that verse is equal to the sum of all the integers from 1 to 73. And if you think this alignment is just coincidental, please note that while the Ana B’koach’s first line (first 2 triplets EBG YTZ) add up to 506, which is the numerical value of “unconditional love,” and also the complete value of “Moshiach Ben David,” there are exactly 506 occurrences of the 14 individual triplets of the Ana B’koach within the Torah. So while the CPU of the 42-Letter Name is found in the Torah’s first verse, it’s wiring extends throughout the entire Torah. And why is this important? Because it is through the understanding of the 42-Letter Name that we’ll be able to bring about Moshiach consciousness and the final redemption. While the tree-of-life is based on 10 dimensions, much like our base-10 mathematics, many of our cycles of time and rhythms in our physical world are constructed of cycles of 7, representing the lower 7 sefirot. It’s for this reason the Torah’s first verse is 7 words long and 4 x 7 or 28 letters long, a connection to Ecclesiastes 28 times. And so, Joseph was not only born 358 x 10 years before Moshiach, but 7 x 314 years after Adam, in 2198 HC. There’s Nothing Random about 7 x 314, or 314 being recognizable as Pi, the mathematical constant that gives shape to physicality, but the energy behind 314 also gives rise to the archangel Metatron, whose name has the numerical value 314. But while the name Joseph has a value of 156 or 6 x 26, the numerical value of the Tetragrammaton (YHVH), reflecting his connection to Zeir Anpin (6), it is Jacob’s name whose value (182) is a full 7 x 26. And so it’s fitting that this portion began with Jacob at Be’er Sheva, “the Well of 7.” As a well, Be’er Sheva, a vessel, is the female aspect of Yesod, whereas Jacob, Zeir Anpin personified, is of the male aspect. Be’er Sheva will play a significant roll in the upwelling of Moshiach consciousness within the next 4 years and we’ll get into that in the 4th and concluding part of our series on the year 5774 and its meaning. 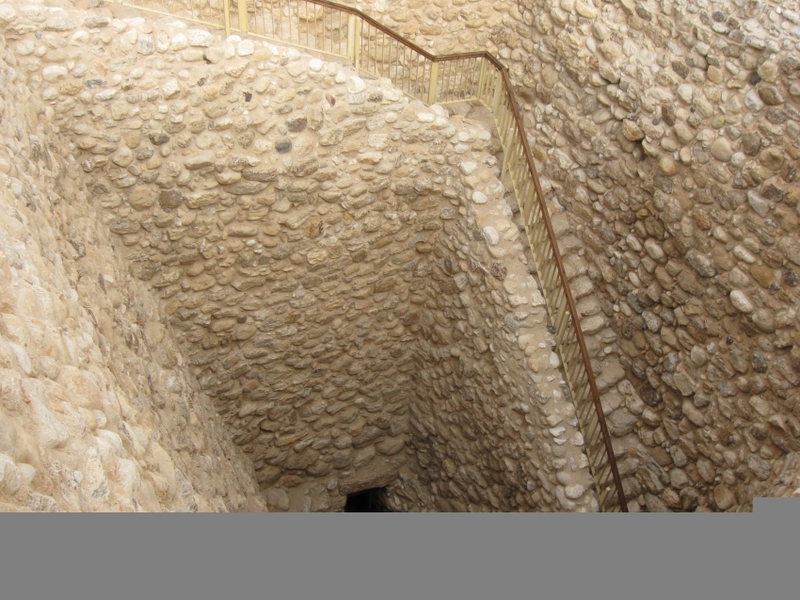 Know this though, Be’er Sheva, the well of 7 levels is also the Shem MB, also known as the Ana B’koach or the 42-Letter Name. The 42-Letter Name, as we saw above, is built on a matrix of 7 levels that are aligned with and serve to help unify Zeir Anpin and Malchut. Each level expands through the 6 extremities (branched out directions) that are represented by the 6 letters per line. The Rav once explained to me that when we fantasize we create bubbles in our reality and as they collapse, they can trip us up. If we dig mental wells in our world by fantasying, making unfulfilled promises and wistful desires, they will be filled up by negative entities and no good will come of that. This is why we fill our kiddish cups to overflowing, leaving no room for negativity. Nevertheless, if we immediately start filling our wells with positive actions and use the Ana B’koach as a spiritual fountain of ma’im nukva, (feminine waters) created by our spiritual intentions and actions, we’ll draw down the positive spiritual light from above that will fill our wells abundantly. As we said earlier, the spelled out combination of the letters Vav and Yud equals 42, and thus the 6 words are represented by the letter(Vav) of numerical value 6 and the 10th verse, represented by the letter Yud (10), forming the combination VY are another connection to the energy of teh 42-Letter Name and this verse (Genesis 28:10). The 5th word in this, the 10th verse of chapter 28 is (VYLC), which like the first word in the verse, starts with (VY). This word has the significant numerical energy level of 546, the same value as the sum of the 10 initials of the 10 sefirot, the tree-of-life. Moreover, as Rabbi Chaim Vital of blessed memory points out, the 5 letters of Israel (541) when the kolel for the 5 letters is included is also 546. 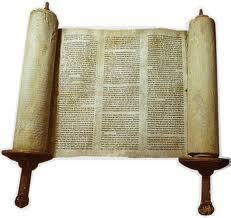 Furthermore, 546 is the number of times the name Israel appears in the Torah without any prefixes. Besides taking the energy of this verse to a whole new level, it also serves to illustrate how the Torah is integrally wired to bring us, Israel, into the tree-of-life reality, and also how much love and technology can be found in a single verse, indeed, in a single word of Torah. As we said, Jacob (YVD AYN KVP BYT) spelled out gives us exactly 2018; nevertheless, the central letters of Jacob’s name spell out VYVY,which is even more interesting because the verse “VYZE YAKB MBER ShBA VYLC ChRNH” also contains VY – VY twice. Given the energy of VY spelled out being that of 42, finding it twice in this verse is special; nevertheless, this verse “VYZE YAKB MBER ShBA VYLC ChRNH” also contains two AB (Ayin-Bet or 72), representing the energy of the 72 Names. Collectively, this means that with the MB (42) in the third word of the verse, this simple 6 word verse pulses with and reverberates back and forth between the 42-Letter Name, then the 72 Names, then the 42-Letter Name, then the 72 Names again, and finally the 42-Letter Name yet again. As will be explained below by R’ Chaim Vital, the 42-Letter Name has its root in the letter Yud (10), and moreover that given that the 216 letters in the 72 Names are 6 x 6 x 6 = 216, they have their roots in the letter Vav (6). Thus the sequence of 42 – 72 -42 -72 -42 illustrated above can be seen on the root level as Y-V-Y-V-Y, the significance of which we’re about to tackle. Furthermore, VYVY has the numerical value of 32, symbolizing the 32 Paths of the Tree-of-life and it also has the numerical spelled-out value of 84, PD, redemption, but the 28, as in Chapter 28 verse 10, may indicate something more profound, as 28 is also the numerical value of Yichud (unification), as in unification of the Names. The second thing we notice about VYVY is that compared to the Tetragrammaton(YHVH), the famous ineffable Name associated with Zeir Anpin, there is no feminine aspect, no repository vessel to receive the flow of energy, neither the upper He (H) of Binah, nor the lower He (H) of Malchut in VYVY. The value 32 also connects to the 32 Elohim in Creation (Genesis), but these are within the letter He (H) of Understanding (within YHVH) and it’s absent in VYVY. Since according to the kabbalists, all that exists is rooted in the letter He(H), then what we’re dealing with in the sequence VYVY must be spiritual in nature, not physical. Grounding the verse above is Be’er Sheva, the well, the 7th well, malchut, the place of feminine waters, but in this verse Jacob was told to leave leave there, which tells us he was going on a spiritual journey. Be’er Sheva represents the missing letter (H) as does the final letter in the verse, He(H) itself. The appellation VYVY is big secret. To form the primordial Alef, whose components are Y-V-V-Y the first VY would need to be reversed, which is exactly what needs to be done to restore the normal order of things. Vav represents Man and Yud represents G-d in the aspect of Chochma (wisdom). The process that is Zeir Anpin is the way we process existence: we intellectualize it, then rationalize it, then emotionalize it and only then do we determine whether G-d has a presence in our lives. The natural order, and the order that needs to be restored to merit Moshiach consciousness, is for us to put G-d first, acknowledging His existence with awe and fear and then contemplating our place within that existence. That is what the patriarchs did, that is why Jacob left Be’er Sheva for Haran, and that is how we restore the VY to the proper order (YV). Now, here is a far deeper understanding. In his book New Writings, Rabbi Chaim Vital of blessed memory goes beyond the normal understanding and explains that the tree-of-life is composed of both the 32 Paths of Wisdom and the 10 sefirot (dimensions), aligning it with the energy of the number 42 and the 42-Letter Name, more so than the more commonly understood, number 32. The primordial alef is comprised of the upper and lower Yuds(Y) split diagonally by the straight letter Vav(V), which the Arizal separates into 2 letter Vavs(VV) since the letter vav can be spelled that way. 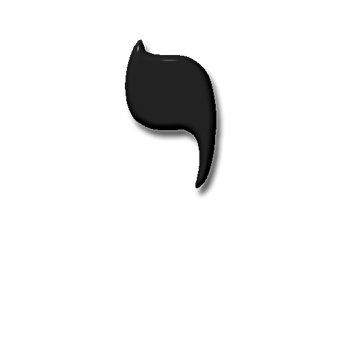 In a higher aspect, that of Chochma, it should be spelled with a Yud(Y) in the middle of the 2 Vavs (VYV). 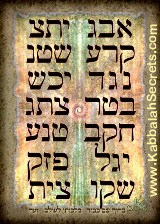 If we do that we’d be adding the 10 sefirot to the 32 Paths of Wisdom, raising the value of the primordial Alef to 42. The Arizal often counted the Yuds as 100’s instead of 10’s as they included their 10 sub-sefirot each, thus the numerical value of Y-V-Y-V-Y becomes 312, as in the measurement of the outer courtyard of the Future Holy Temple. So the Alef becomes the schematic for the Future Holy Temple–B”H to be built shortly–whose innermost alter measures 32 cubits, and whose inner courtyard measures 100 cubits (Yud expanded) and whose outer courtyard measures 312 (Alef complex) cubits. Regarding the Alter of 32 cubits, the inner Yud (between the vavs) can be thought of as 32 because as R’ Chaim Vital explains the 32 paths of Wisdom are rooted in the lower tittle of Yud. It just dawned on me that 32 + 100 + 312 = 444, as in the 13 leaps of 444 years that equal 5778, and as Rav Ashlag explained to me, 444/22 building blocks = 20.18. So why Jacob and 2018? In order for us to achieve Moshiach consciousness when the window of opportunity opens in 2018, Jacob, representing Zeir Anpin must be fully rectified, that means all 70 sefirot of Zeir Anpin must be fully rectified from the beginning to the bottom of the well when the final 70 years are up in 2018. Our entire existence in this world has been all about rectifying the sefirot through our actions, mitzvot, thoughts and speech. According to the Arizal, Leah represents the thoughts and Rachel, speech. 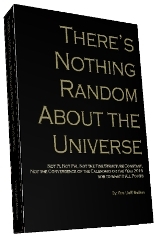 This article started out as an observation during the Torah reading and became a journey of revelation, but it should end for all of us in a new dawn in 2018 (5778). We must all do our part in rectifying through love the final hidden holy sparks. Tu B’shvat is upon us–the perfect opportunity to connect to the Tree-of-life reality. You provide a wealth of insights, man. Enjoy reading your work. For so many connections to point to messiah, I expect the cornerstone – Yah’s rock. Would be interested to hear if/when you factor in probability values. Energy seems like it is valued as an observer focuses within a probability spectrum of defined dimensional limits (e.g., cube). Imagining numbers as gateways is pretty cool. Another way to think of it is that numbers flow as a code that energy follows. A person focusing on the Torah would find the code is written by you know Who. If all things are possible in Aleph-Lamed-Hey-Aleph, I would consider it a relevant sign that ALHA = 19. 1 through 9 = all possibilities? Thank you very much for this wonderful message.It enlighten me. Wonderful stuff (oce again!) Ezra. The logic deriving from the 260 years is still the same, but I have the 260 years as stretching from Jacob’s birth to Moses’ birth with only 160 years between Avram in 1948 and Jacob in 2108 (Itzchaq in 2048 60 years before Esau and Jacob, and when Abraham was 100). On my arithmetic, Joseph born in 2198 would have been born ten years before his dad if Jacob was born 260 years after abraham, i.e. in 2208. Same logic and wonderful inferences, just the 260 years is back the front in the break up of the 420 years. It is wonderful how you slice and dice God’s word, not to mention all the spice. One thing which was hard to digest though, was the allusion that yvyvy being male implied a purely spiritual expression. However, in the indwelling of God, one has a hole which flows outward,(opposite of gravity, I’m sure you heard that one before) thus the female and male aspects are one in the highest power, expressing the creation of holiness, which still is before time ever was. My father is messiah bin Joseph. We are Jews -Ashkenazi Jews new catholik. Again a very powerful and insightful commentary from you. How interesting is it that the verse in “Genesis 28:10” with all its hidden treasures does still contain in plain eyesight the numbers 2018 through a simple permutation of the said numbers? This is wonderful, and very insightful. I always had difficulty with numerical values but this has prompted me to study and to make numbers my friends. Thank you! I can see this vividly now. Jacob was born in 2108, 160 years after Abraham. Rachel died giving birth to Benjamin in 2208, 260 years after Abraham. Benjamin was born on 11th Cheshvan, and also died on this same date 111 years later. Previous Previous post: Chanukah: 8 Days Designed to Bring Moshiach and Light Up the 70 Nations. Next Next post: The Zohar Explains the Final 70 Years until the Redemption.